The USB C Cable from CHOETECH allows you to connect your phone and other Type-C equipped hardware to USB powered equipment so you can sync and charge your device. Low-profile connector with a reversible design simplifies the connection. Plug and unplug easily without checking for the connector orientation. 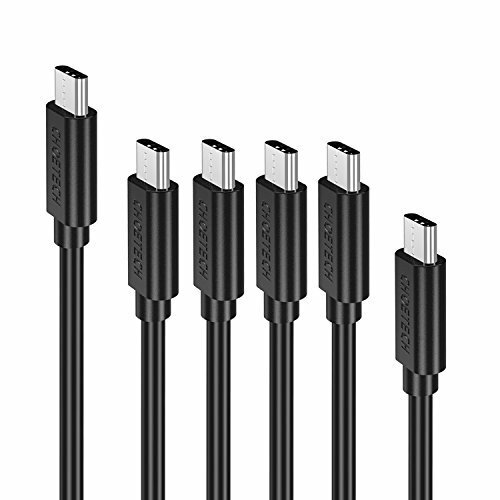 - The USB-C to USB-A cable is not compatible with the OnePlus 2. - The cable does not support rapid charge on OnePlus 3,Nexus 5X/6P,Pixel/Pixel for OnePlus 3 is adopted with the private charging protocol. 【Fast Charging &Sync】Support Maximum 2.4A fast charging and the speed of USB 2.0 standard data sync up to 480 Mbps. featuring the required 56k ohm pull-up resistor necessary to protect your devices. 【High Compatibility 】Compatible with Galaxy S9,Note 8, Nokia 8,Galaxy S8, Galaxy S8 Plus, LG G6, LG V20, LG G5, HTC 10, HTC U11, 2015 Macbook, Nokia N1, Lenovo Zuk Z1, OnePlus 3 and more devices with Type C port(NOTE: Does not support rapid charge for OnePlus 3). If you have any questions about this product by CHOETECH, contact us by completing and submitting the form below. If you are looking for a specif part number, please include it with your message.